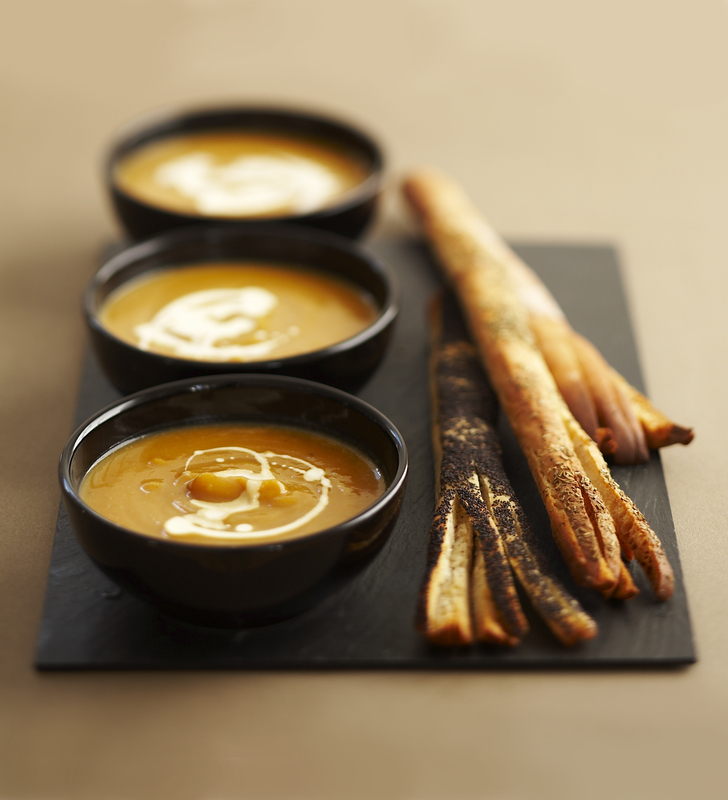 Pumpkin and sweet potato soup combines two of my favourite things for a taste sensation. 2 Add the pumpkin and sweet potato and cook for a couple of minutes, then add the water or stock. Season with salt and ground black pepper, cover and bring to the boil, then simmer for 25 mins until the pumpkin and sweet potato are really tender. 3 Meanwhile, preheat the oven to 200ºC (180ºC fan, Gas 6). Cut the bread in half lengthways, then make several cuts one third of the way up the length to look like broom bristles. Repeat with the other bread, put onto a large baking sheet and drizzle with olive oil. Bake for 5-8 mins until becoming golden. serve. Pour into bowls and finish with a swirl of Alpro Soya Alternative to cream. To complete your Halloween banquet, try oozing eyeballs with spaghetti worms or carrot cupcakes for a sweet treat. Don’t forget to complete your Halloween celebrations with a spooky Halloween craft project.